Speaking truth is the most important qualification of a Yogin (one who aspire to union with the Supreme). Truth is the queen of virtues. Truth is the supreme virtue. There are certain fallacies that arise in following the straight path of truth. It is absolutely no harm for a mother who fondly nurses the child in just diverting the attention of the child by saying that the small piece of sweetmeat has been carried away by the crow a short while back, and when she shows to be extremely sorry for it and brings round the ideas of the child by saying, "Papa, do not mind it, I shall bring a bigger cake for you in the evening". It is absolutely no untruth if you do not interfere with others, wound their feelings, harm others or spoil others. Swami Sivananda (1887-1963) was one of the great soul and dedicated servant of God the Most High. He was a brilliant spiritual teacher and a well-known proponent of Yoga and Vedanta. Born in India, he studied medicine and served in Malaya as a physician for several years before taking up monasticism. His teachings are still in work among his followers in transforming their lives. He lived most of the later part of his life near Muni Ki Reti, Rishikesh. 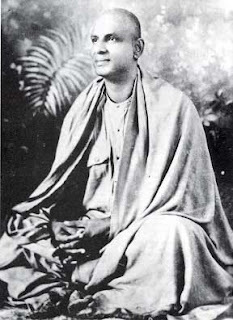 He is the founder of The Divine Life Society (1936), Yoga-Vedanta Forest Academy (1948) and author of over 200 books on yoga, vedanta and a variety of other subjects. May his soul be blessed and may his teachings continue to inspire and guide many. His detailed biography can be accessed here. Many of his writings can be downloaded for free from here.